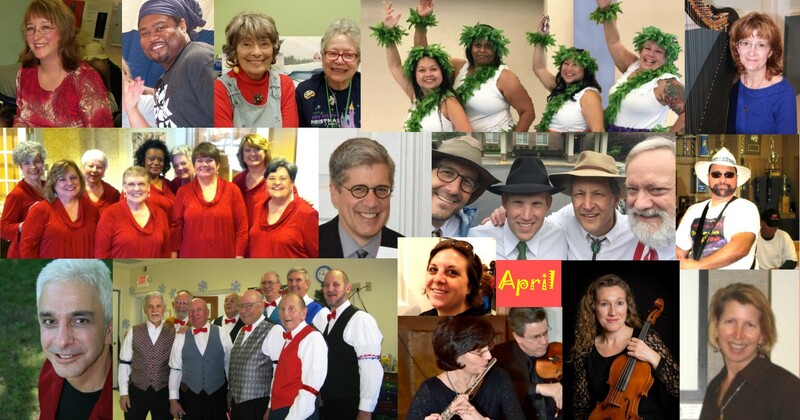 Tidewater Arts Outreach has plenty of opportunities in April to engage with aging adults in our community. Click any graphic below for more information on our training, poetry, singing, networking and other programs. You can also learn more about the success of our programs, see pictures and read stories by following our blog. Please visit our online calendar here and sign up now. Thank you for your support! We hope to see you soon. 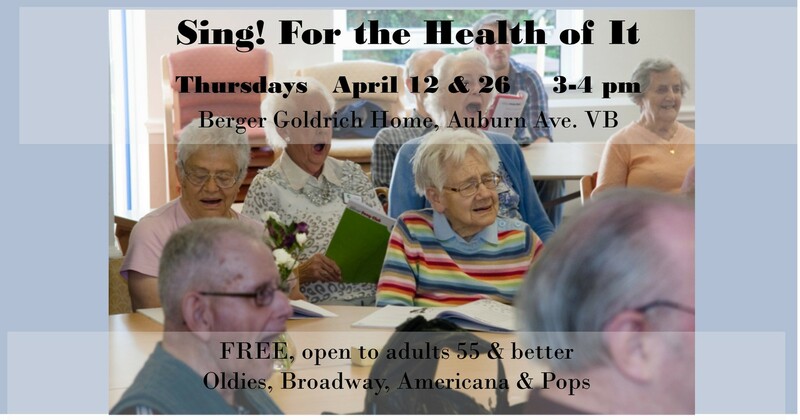 In May, seniors 55 and better, carers and friends are invited n May enjoy collage-making with Michele Barnes. 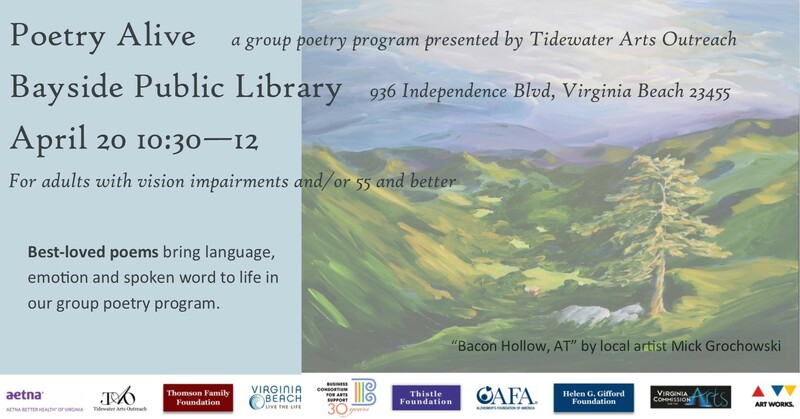 $3 fee includes a tour of the current exhibit, Portsmouth Here and Now II. In May, work with clay! Call 757-393-8543 to reserve a spot. Late Night Live Music at O'Connor's to benefit Tidewater Arts Outreach! Featuring The Framer's, Tidewater's alt/indie rockers, Hampton VA's grass/grunge musicalists Tornado Bait and Norfolks own high energy, world beat Mosquito Cabaret. Bring your dancing shoes! Past your bedtime? Tell your favorite 20-somethings. 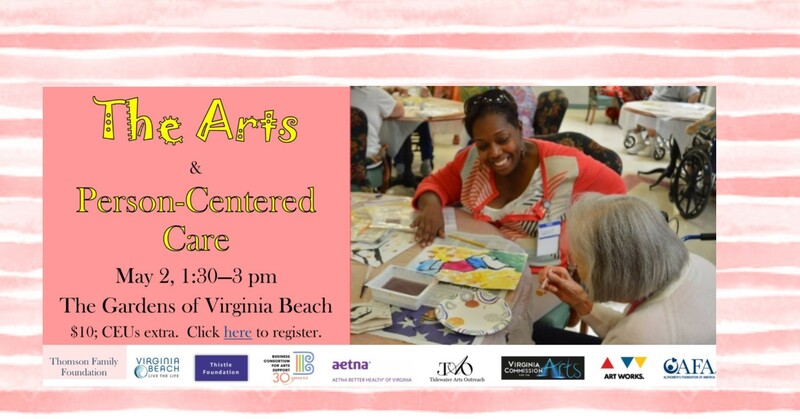 'The Arts & Person-Centered Care' workshop is open to artists, caregivers activities directors, and anyone wishing to learn more about arts engagement. The workshop is 1.5 hours on May 2, the cost is $10. Click here for more information and to register. Find out what attendees are saying about our workshops here. Steve Newman will be honored on April 19 at the Volunteer Hampton Roads Volunteer Awards Dinner. 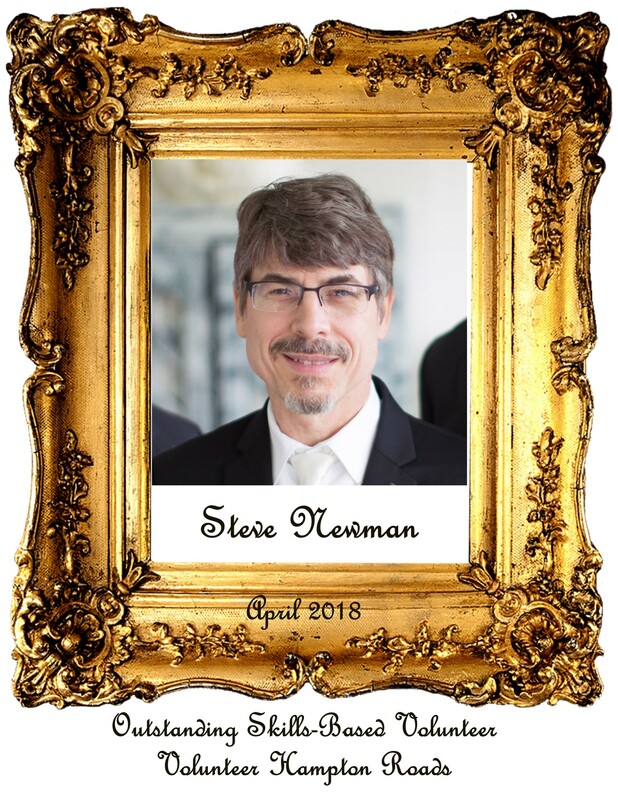 We are thrilled he is being recognized for his long hours, dedication and highly skilled help in creating an IT infrastructure for our programs. Read more about his good deeds here. It takes a village, friends. Volunteers help in the TAO office, at our programs, and in the community. View our volunteer opportunities here. Artists and volunteers, we want to share your program stories. Did you have an "aha moment" or catch someone in the act of having an exceptional time at one of our programs? 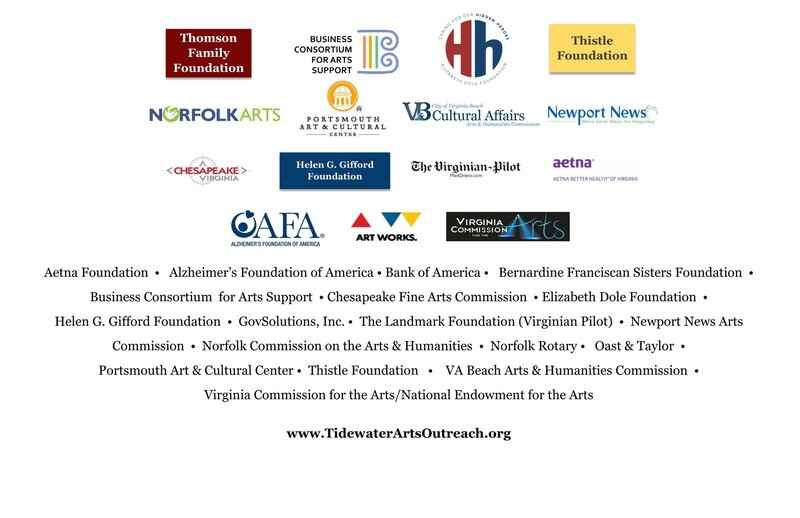 If so, email Anna@TidewaterArtsOutreach.org, or post and tag #TidewaterArtsOutreach on social media. Help us give your good works a wider audience. Thank you.